When you run a picture and information based blog about a particular brand of shoes, you have to keep your eyes open for anything. Today is a great example of that philosophy. I was searching around on a popular sneaker site when I came by a group of photos from the NCAA basketball season. And out of the corner of my eye I got a surprise, a pair of Converse on some Aztec feet. 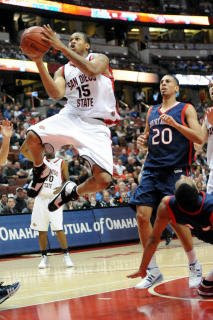 Those would be the feet of senior Kyle Spain from the San Diego State Aztecs. 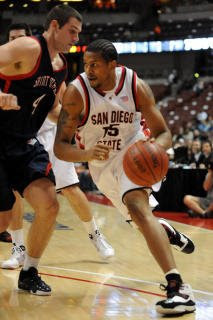 The 6-5 forward from Newark, California has been wearing the Converse 099 on a team outfitted by Nike. Outside of Marquette I am unaware of anyone else wearing Converse this year, so this was exciting to find. If anyone sees anything else like this please let me know. I'd really like to hear Kyle's story on his footwear choice, I am trying to find a way to contact him, but I haven't been able to yet. Thanks for stopping in here at the Converse blog, and come back again. 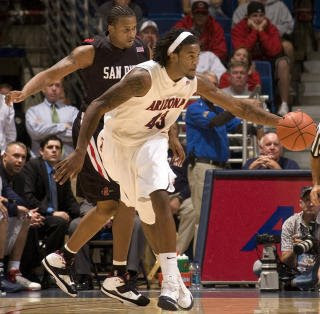 Good to see more collegiate players using Converse. 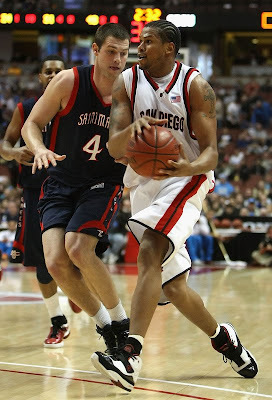 BTW, which Converse style is Maurice Acker sporting here? Are they PE versions of _________? NVM. I think they're called Converse Hops.